There’s been a flurry of news over the past couple of months as Ang Lee nails down the cast for his upcoming Iraq war satire, Billy Lynn’s Long Halftime Walk. The director has locked down Steve Martin, Kristen Stewart, and Garrett Hedlund, but with the exception of Martin, he seems to be short on satirists who could lend the production some real teeth. So he’s turned to two of the world’s best-loved satirists, the heirs of Voltaire and Jonathan Swift, to lend his project some critical bona fides. Deadline reports that Vin Diesel and Chris Tucker, America’s Chaucer and America’s Chris Tucker, have joined the cast of Lee’s film. Both actors presumably signed on to the project for a chance to work with Lee, one of the world’s most respected directors despite the existence of Taking Woodstock. While we already knew that the story involves a platoon that survives a battle in Iraq and is brought home for a promotional tour culminating in a Thanksgiving Day football halftime show, now it seems the whole film will consist of flashbacks unfolding during said game. 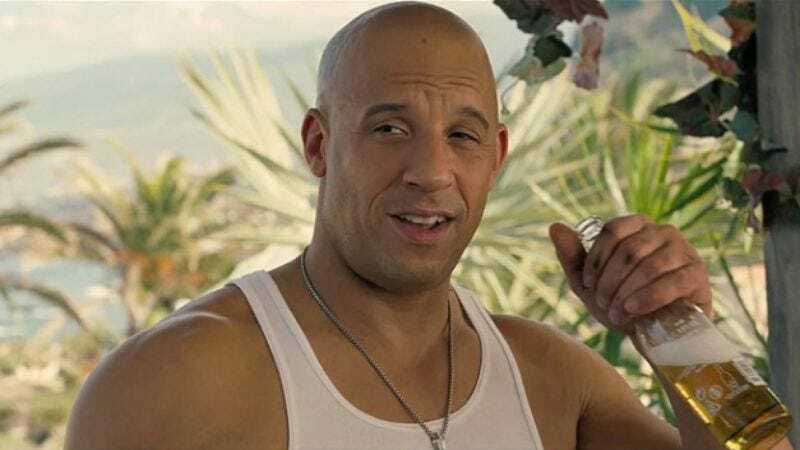 Hopefully this latest casting announcement means Diesel will also be involved in shaping the story, as his gift for subtle wit and ironic commentary—so evident in his Pulitzer-winning prose poem “Thirteen Ways Of Looking At Dominic Toretto”—could be just what Ang Lee needs.